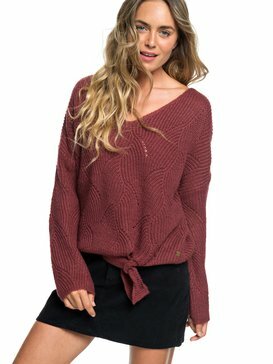 Cool weather calls for cozying up in a sweater, and ROXY has just the sweaters for women that you can get excited about. 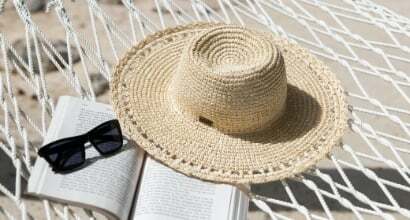 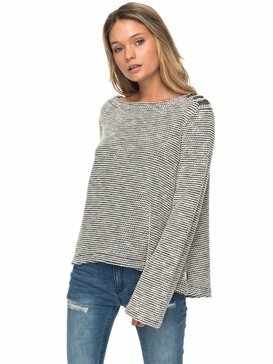 At ROXY, we like to design clothes that keep you comfortable and fashionable so you can continue to seize each day without slowing down. 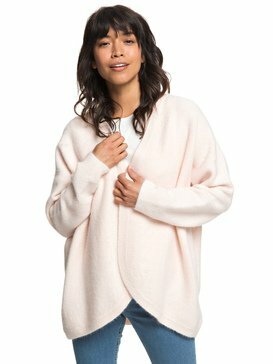 Sweaters and cardigans for women can keep you cozy any time of year, and make great layers for any adventure. 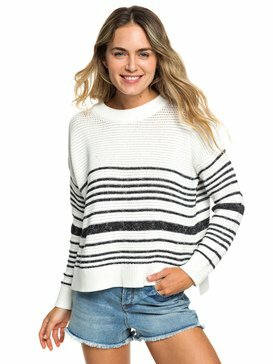 Everyone has their own sweater style which is why our collection of sweaters for women includes cardigan style button down sweaters that are great for throwing on over a t-shirt or even a dress, and classic over the head sweaters that complement any pair of pants. 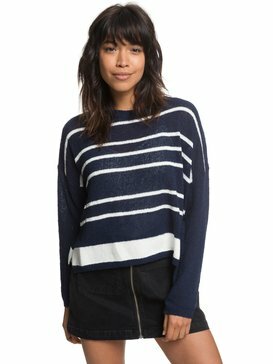 When it comes to sweaters for women, ROXY has a selection of sweaters suitable for every season. 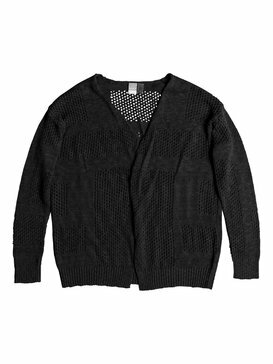 For light coverage, choose one of our cardigans for women. 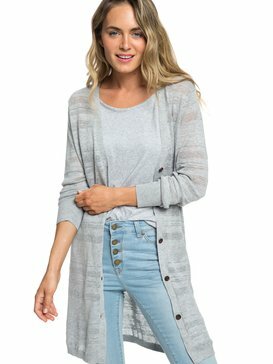 A cardigan can easily add some style to a casual outfit, or pair nicely with a dress for a special occasion. 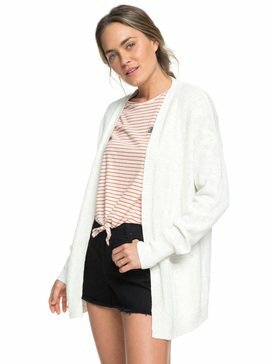 Cardigans are a nice alternative to jackets when the weather is warm and all you need is a light layer. 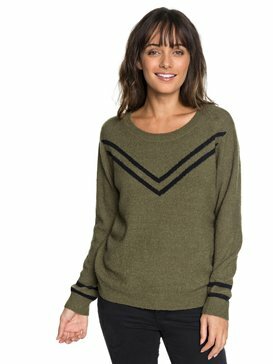 Our women’s sweaters come in a variety of materials because we know everyone has their own preferences when it comes to the levels of comfort and warmth they expect from their sweater. 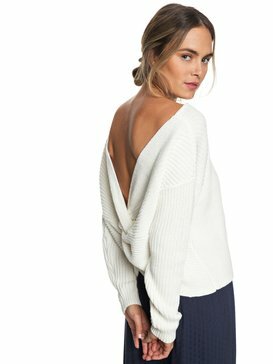 We have wool sweaters for days when temperatures are truly low and you need to trap in maximum body heat, and we have cashmere sweaters to keep you cozy with their soft luxurious texture. 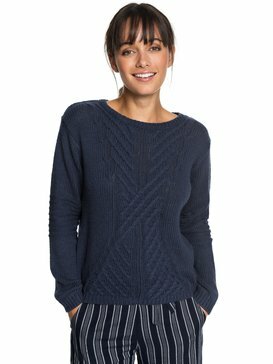 A popular design for our wool and cashmere sweaters is cable knit. 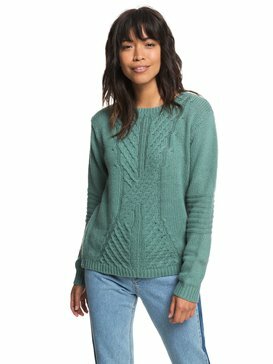 Women’s cable knit sweaters are a great style that is suitable for a range of occasions. 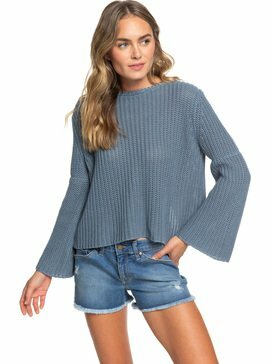 You can dress up a cable knit sweater with a pair of nice pants or a skirt and some fun jewelry, or you can keep your cable knit sweater casual and wear it with an everyday pair of jeans. 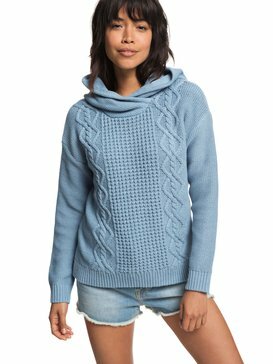 Whatever material and knit you choose, a ROXY sweater will keep you warm and looking wonderful. 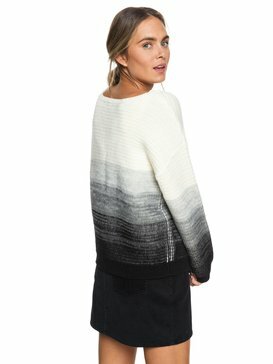 We have all different styles of cardigans and sweaters for women because each new day calls for a unique outfit to match. 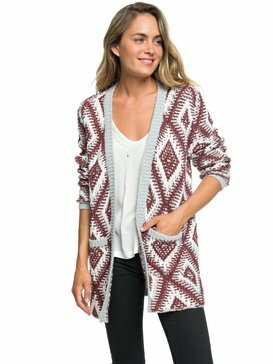 You can enjoy one of our classic cardigans for women when you feel like switching up your style for a little sophistication. 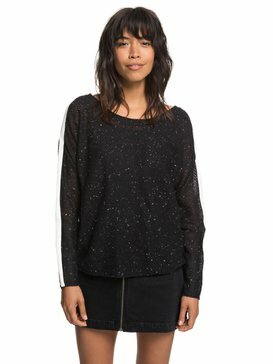 We have turtleneck sweaters for days when you want full protection from cold temperatures. 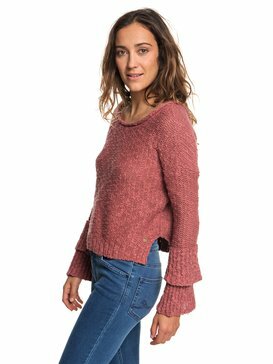 Our selection of long sweaters offers styles that are great to pair with leggings or skinny jeans for afternoons lounging around the house or even nights out on the town. 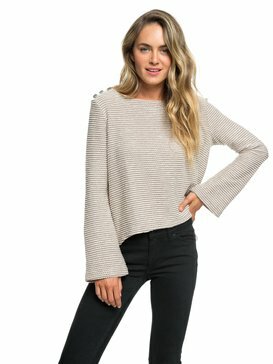 If you’re looking to step up your street style, try repping one of our poncho sweaters to give your look a modern twist. 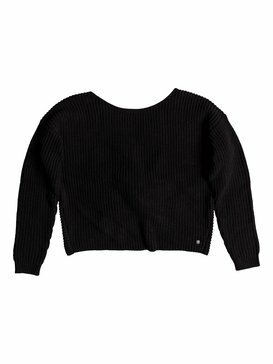 And of course, we would never leave out the basics which is why we also have a wide range of crew neck sweaters to choose from. 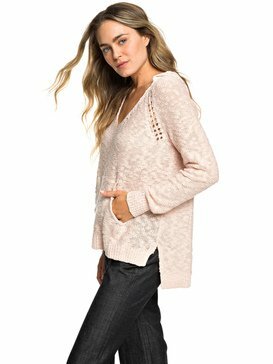 Make your style of sweater your own when you select your favorite color; choose from pink sweaters, black sweaters, white sweaters and more! 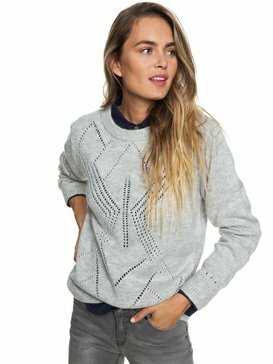 You’ll be the best dressed for any occasion when you wear your favorite ROXY sweater. 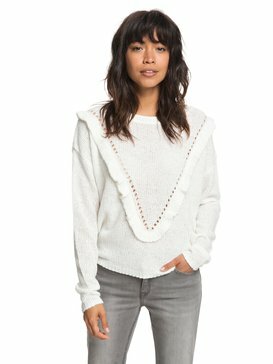 Are you ready to buy the perfect sweater? 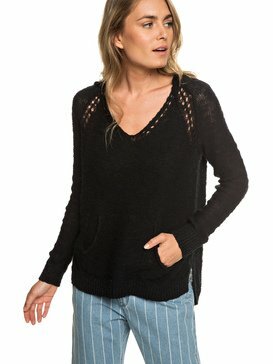 Head to ROXY’s online store and choose from our wide selection of sweaters and cardigans for women. 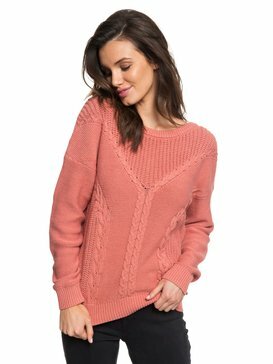 We feature all of our sweaters for women online so that you can easily browse and buy the styles that you love the most from the convenience of your own home. 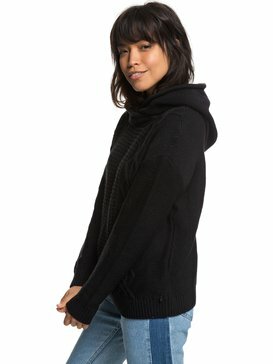 If you have questions about which styles to purchase, our free customer service help line is available to provide you with the information you need to make the best decisions. 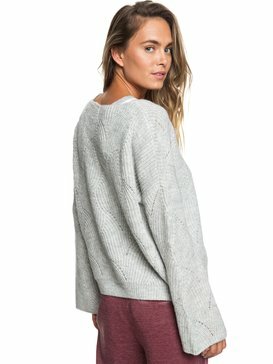 Get ready to get cozy, and shop for your ROXY cardigans and sweaters online today.